Ann James' walk to the podium over the weekend of March 9 was significant. In fact, it was absolutely astonishing because that walk marked the fiftieth anniversary of her receipt of her first gold medal. 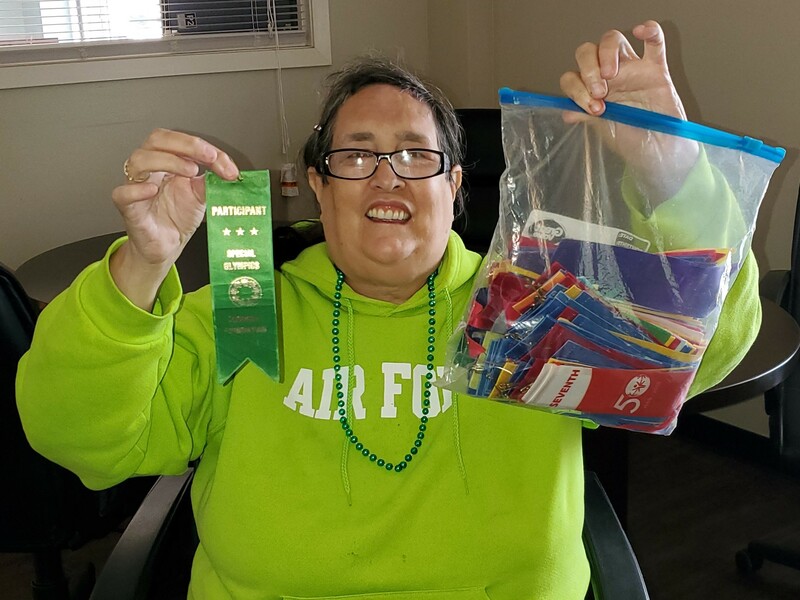 Ms. James, a student at Pyramid Fort Walton Beach, started participating in Special Olympics in 1968 and is proud of her accomplishments on the fields, so much so that she has kept every ribbon she's been awarded for the past 50 years. In this photo, Ms. James shows the first ribbon she received from the 1968 games and a bag bulging with every ribbon she has won since. We, too, are so proud of Ann James' accomplishments, off and on the field and congratulate her on her fiftieth anniversary of participating in the Special Olympics.